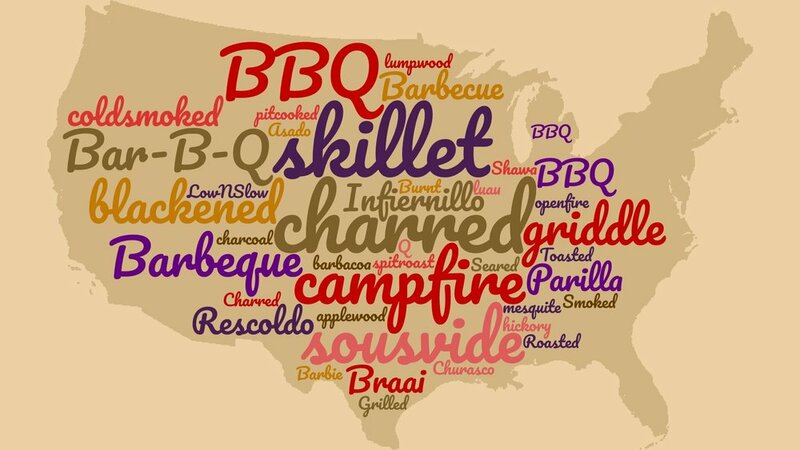 Cooking style - what is Barbecue? As our business has grown and thrived, our repertoire has expanded to encompass a very broad range and at a certain point it could no longer be described simply as BBQ, with all of its Southern connotations. Clambakes are decidedly North Eastern. Whole lamb cooked on coals has a South American association. Shish kebabs and tandoori are fantastic techniques from the Middle East and India. Fire and smoke unify these styles, and ‘Barbecue’ is the global term to capture the excitement of the senses when we gather round the fire to witness food being transcended by that most timeless and elemental of acts. And our equipment reflects that evolution. We initially relied solely on the Lang smoker but its limitations had us investing in roasters, charcoal grills, steamers and enormous gas powered cookers and churrascos that can only be towed by trucks. When we’re ‘in season’ we are daily hauling and setting up kitchens to cook onsite and serve our customers that want to smell the smoke in the air and hear the crackle of food cooking. When you’ve got that plate in front of you about to dive in, the question of whether it’s BBQ or barbecue fades to insignificance.